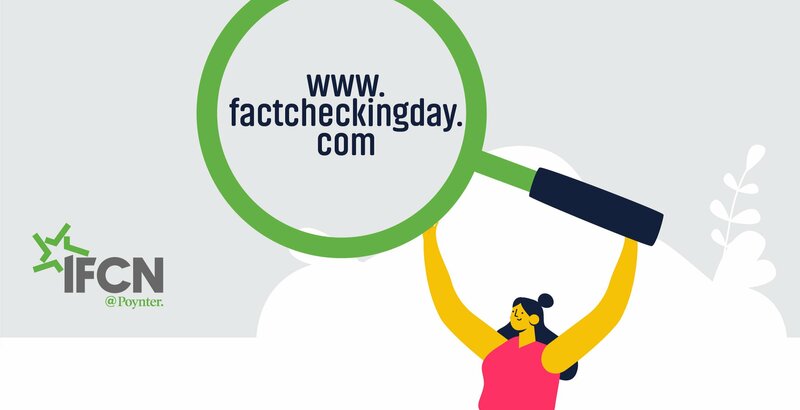 Lead Stories is happy to support Fact-Checking Day 2019! resources that empower global citizens of all ages to sort fact from fiction. fact-checkers can fine-tune their skills with tip sheets and students can take a "Guess the Fake"
fact-checkers through the new, interactive EduCheckMap. to be their own fact-checkers." Destin Sandlin of Smarter Every Day. how to identify native advertising and use lateral reading to cross-reference information. about facts in politics and discuss PolitiFact's plans to cover election 2020.
to ask the fact-checkers questions about their process, the IFCN and more. make informed decisions about their lives, leaders and laws."